On behalf of the Board of Directors and Search Committee of Xiamen International School (XIS) in Xiamen, China, we are pleased to announce that after a worldwide search which produced a large number of highly qualified candidates, Mr. Deron Marvin has been appointed as the new Head of School beginning in August 2018. Mr. Marvin is currently Elementary School Principal at The International School Yangon in Yangon, Myanmar where he has worked since 2012. He has also held administrative and teaching positions in Addis Ababa, Ethiopia, Gunagzhou, China, Chennai, India, and in his home country in the USA. Mr. Marvin earned a B.A. in Liberal Studies at San Francisco State University, an M.A. in Sociology and Education from Colombia University Teachers College, and a second M.A. in K-12 Administration at Michigan State University. The XIS Board of Directors, Search Committee and Search Associates would like to thank all candidates who expressed interest in the Head of School position, and to everyone who assisted and supported the search process. 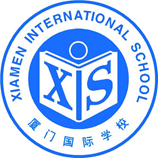 Xiamen International School (XIS) is a private, non-profit, coeducational, day school serving students from Pre-K (4-year old) through Grade 12. It was founded in 1997 and serves students from the international business community in Xiamen, China, a thriving manufacturing hub located directly on the Taiwan Straits north of Hong Kong. XIS is fully accredited by WASC, one of seven regional accrediting agencies in the United States and is authorized to offer all three International Baccalaureate (IB ) Programs. The educational program is based on the three IB frameworks (PYP, MYP and DP) and the curriculum is standards based delineating what students should know and be able to do after each grade level. The fourth accreditation/authorization will take place in April 2018. Total school enrollment is 450+, with a faculty of 62 and staff of 38. XIS’s operational mission is to inspire and develop confident, knowledgeable students who enjoy life-long learning, demonstrate global awareness and contribute compassionately to the world around them. 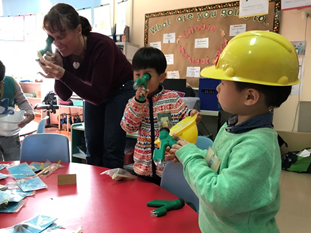 Families with children attending XIS come from the international community living in Xiamen as well as those families coming from the Chinese regions of Hong Kong, Macau and Taiwan. Approximately 48% of school families are either Taiwanese or Korean. Of the remaining 52%, about 28% represent other Asian countries and the other 20% are western. Most parents are either employed by large, multi-national corporations, or own a manufacturing business. The school enjoys positive parent support. 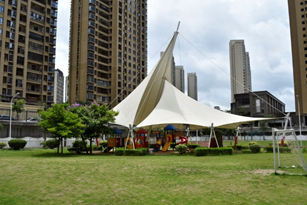 The Xiamen International School campus is located in a growing residential area outside the central city of Xiamen. It is a purpose-built structure that includes classrooms, a soccer field, gymnasium, outdoor basketball courts, track, tennis courts, gymnasium, library, outdoor playing fields, two computer labs, three science labs, cafeteria, indoor swimming pool, a one-to-one laptop program, wireless internet access and two art rooms. Total enrollment at Xiamen International is over 450 students and is growing at an annual rate of approximately 5-8%. All of XIS’s graduates attend universities. Entrance to universities is predominately in North America but graduates also attend universities in Asia or Europe. Maximum class-size caps are 24 students at the elementary and 26 students at the secondary level. 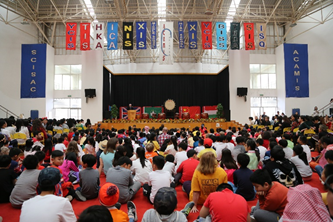 The curriculum at Xiamen International School is similar to university-preparatory schools in the United States. XIS faculty members have completed a standards-based curriculum that identifies learning outcomes for each subject at each grade level. All courses in grades 11 and 12 are IB oriented and students mostly pursue the IB diploma. They are also awarded an XIS high school diploma which is equivalent to a US high school diploma. Students complete the IB diploma program by either being a full diploma candidate or taking certain courses to simply earn certificate(s). Students in grades 6-10 follow the MYP framework, but are also guided by best practices in middle school education. 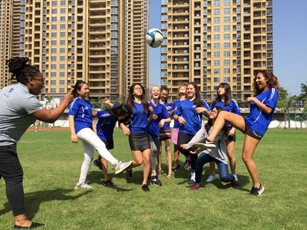 Xiamen International School emphasizes academics, arts, activities, and service. The curriculum includes a community service component and provides opportunities for student leadership in athletics, activities and clubs. Curriculum Mapping is used to ensure a well-developed, effective, and articulated curriculum. Counseling and ELL support, are available for students with identified needs. 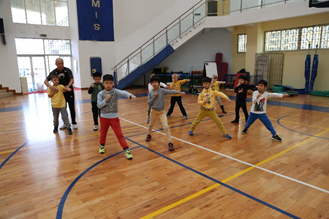 Xiamen International School includes 66 faculty members including four (4) administrators (Headmaster, Deputy Headmaster, and Secondary and Elementary Principals). 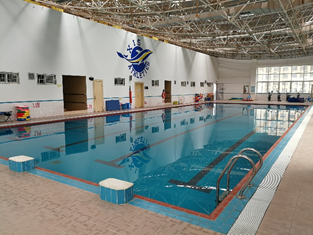 The faculty is predominately from the United States, but also includes faculty from China, the United Kingdom, Canada, Australia, New Zealand and other countries. All staff members hold at least a Bachelor’s or Master’s degree. The school also has office staff, teacher assistants, bus drivers, security guards, custodians and electricians. The Board of Directors is self-perpetuating and consists of seven (7) members. Five (5) are appointed and up to two (2) are parents of currently enrolled students who serve for two-year terms of office. The Board meets four times a year. The principals report at the first and last Board meeting. The Headmaster normally attends each meeting. The school year consists of 191 teacher contract days of which there are at least 180 instructional days. School begins for students the second week in August and ends the second week in June. There are two-week vacations for Christmas, and Chinese New Year and one-week vacations in the Fall and Spring. The Head of School reports to the Board of Directors and serves as the Chief Executive Officer of XIS by providing the day-to-day academic, administrative, and financial leadership to the entire school community. The Head of develops and implements policies, programs, curriculum, and activities that promote the educational development of each student and the professional development of each staff member. performing other duties as assigned by the Board of Directors. Proven record of working harmoniously with a board, administration, faculty, staff, parents, students and the community. XIS has appointed Search Associates to facilitate the Head of School search with Ralph Jahr and Brent Mutsch as the primary consultants. The deadline for application is September 30, 2017. Candidates are asked to submit a letter of interest and the requested materials as early as possible as the Board reserves the right to hire immediately if the right candidate is identified. The review of files will begin as soon as applications are received. Semifinalist candidates will be selected by Search Associates and their applications and supporting materials will be forwarded to the XIS Search Committee on a rolling basis. The XIS Search Committee will interview selected Semifinalist candidates and 2-4 Finalist candidates will be identified by October 2. Finalist candidates (with their spouse if applicable) will be invited to Xiamen in late October or early November and will have the opportunity to meet with the board, administration, faculty, parents, students, and non-teaching staff. The new Head of School will be appointed shortly after interviews of finalist candidate(s) have been completed. Candidates who wish to apply should submit the information requested below in the form and manner requested. A letter of application, no longer than two pages, explaining your strengths as a candidate and why you are interested in the XIS Head of School position. A one-page list of at least four references with current phone numbers and email addresses. A maximum of four letters of reference (scanned at low resolution) which may already be in your possession.